can you see them...look very carefully!! I might actually have success this year - as long as the slugs don't get to them first. 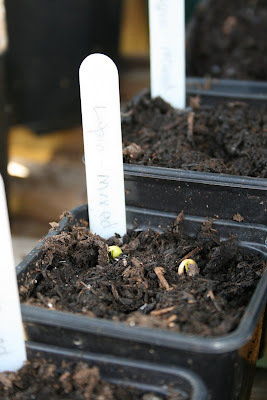 I then had a potter around the garden, cuppa in hand, marvelling at all the signs of new life emerging from the soil. 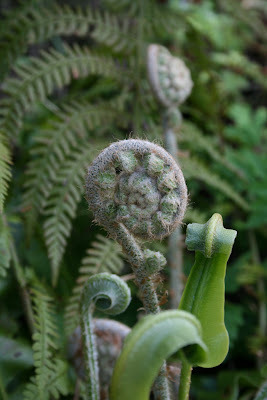 Nature is so inspirational, its shapes, textures and colours are often where my ideas for new collections come from. 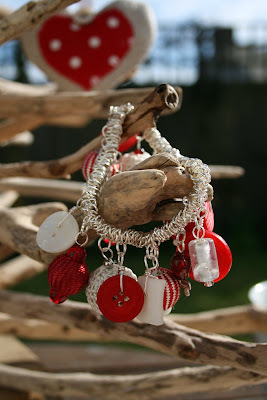 Whilst I'm waiting, I have been busy yet again with some new jewellery designs - want a sneeky peek?? Back to more mundane things now like a trip to the supermarket before I am whisked off for the weekend...ok, not so mundane! We planted some lavender seeds yesterday, can't wait to see them grow.